Footwear Industries Tennessee officially opened its first location in the United States in East Tennessee Thursday, nine months after announcing the plant. The Chinese company, known as FIT USA, is in production at the former BAE Systems facility in the Jefferson City Industrial Park. The military body armor manufacturer closed operations a several years ago. FIT USA is investing $5.4 million in the 40,000 square foot plant and are planning to hire nearly 110 people. About 50 employees are already on the job. Thursday the company's leaders gave the media a tour of their facility. FIT USA makes men's leather boots and shoes. 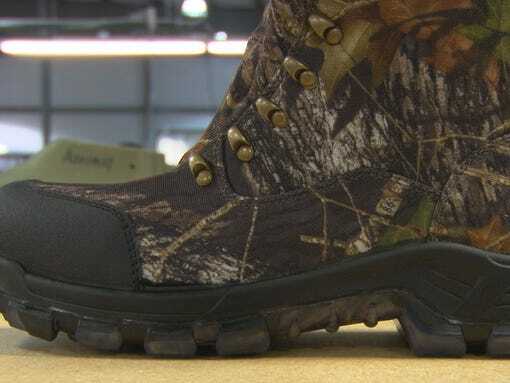 The first order are Kraftsman work boots and will be sold at Sears.Lorretta Lee, founder of FIT USA's parent company the Merchant House International Group, said they chose to put the plant in Jefferson City because of its location and work force.Lee said the Jefferson City plant is the first phase of a three phase project. "We intend to triple the business in the next two years with the goal of having 25 percent of our shoes Made in America. I believe this is only the beginning, and we will be encouraging other supply-related industries to invest in re-shoring to America," Lee said. Footwear Industries plans is still accepting applications. If you would like to apply, visit the Tennessee Career Center in Talbott.